When you're looking for an eye surgeon, the most important thing is what past and current patients have to say! Here are a few reviews from Google, Facebook, Yelp, and other websites that showcase the experiences patients have had at Woolfson Eye Institute. Dr. Woolfson operated on me when he was part of TLC eye center in Greenville, SC. It was December 18th of 2001. My vision was worse than 20/400 and I was the last patient of the day. It wasn't until 8:30 pm at night when Dr. Woolfson operated on me. I'll never forget as I was a little nervous and Dr. Woolfson put me at ease, reminding me this was his life's work and that he would take care of me. Here it is, 17 years later, and I still have fantastic vision. The surgery resulted in my vision being corrected to 20/13 in both eyes. My vision is still laser sharp to this day. Thank you, Dr. Woolfson, for taking care of me and changing my life for the better, forever! The best experience I've ever had!! Dr Stulting is the Best!! Can't wait to get rid of these glasses!!!! Dr. Day at the institute was very professional and the entire staff was very nice. Dr. Stulting and his staff are wonderful and they do amazing things at The Wolfson Eye Institute!!! Dr Cook is a very caring doctor. Had cataract surgery on both eyes. He has kept a close eye on my eyes to make sure the heal properly. What a great experience today with Dr. Woolfson and Dr. Dyak. 7 hours later and I’m seeing crystal clear! Thank you! After 37 years in glasses and/or contacts, I am finally free!! Thank you to Dr. Woolfson, Dr. Spetalnick, David and all the staff at Woolfson Eye Institute for an amazing experience!! I had my LASIK surgery on Friday 9/14 and by Saturday morning I was seeing 20/15! The surgery and recovery was a breeze!! Why Did I Wait SO-OOOO Long.? The entire staff and Dr Jason S. Brody handled everything VERY warmly and professionally, ... including me. What I perceived to possibly be a painful experience, turned out to be a short-lived, minor inconvenience. I now have 20-20 vision in both eyes and aced my GA driver's license vision test. There is no requirement for glasses anymore, ... to drive at 75 years of age.! Everything is brighter, clearer, ... and the COLORS..! Now, anytime I hear someone speak about THEIR cataracts (or vision problems), I tell them about MY story / Dr Brody / and the Woolfson Eye Institute. Excellent experience with my first cataract, done by Dr. Hays. In 2 weeks I have other one done. I know what to expect now, so it should go even more smoothly, if that's possible! Dr. Leff and all the other doctors and staff at WEI are top-notched! Thank you dr Day for correcting a wrong diagnosis that I have lived with for 2 years. Now my sight is returning in my right eye! Excellent service and Dr. Day takes really great care of his patients. Very professional medical staff and Dr. Brody was very calming and nice. His assistant, Yonairi was also very informative and helpful ! Four weeks later I don't need readers at all, distance has always been excellent! However, I do have halos around lights at night time . I'm told that they will subside now that my regiment of eyedrops are over with! I would definatley go through this operation again especially now I won't be getting any cataracts anymore! I feel younger not needing readers any more!!!! I had cataract surgery yesterday performed by Dr. Hays. It was over before I knew it was started. Now typing this with no glasses on. All staff were courtious and professional. Was well looked after throughout the whole procedure. I highly recommend Dr. Stulting. My cataract surgery on both eyes went great and my vision is now excellent. I was very apprehensive about the surgery because I had had a retina tear in each eye in my past. I was referred to this doctor because I feared complications and my optician said Dr. Stulting is the doctor to go to for high risk cases. Under his care I had a very positive outcome. I want to thank Dr. Stulting for being such a skilled physician. I couldn't be happier with my decision to go with Dr. Woolfson for my LASIK. From the very first phone call I made, all the way through my follow up visits the entire staff has been extremely helpful and accommodating. My surgery went well and I am seeing very clearly. I would recommend this team and Dr. Woolfson 100%! Eye Surgery isn't really considered pleasant but having been to Woolfson Eye twice now, I wanted to try to put your mind at ease by saying that they make it as pleasant as possible. It really wasn't that bad. Way less worrisome than you can make it out to be in your mind. The surgery center staff is friendly and does their job. The technology is up to date and my Dr. Hays is a gifted surgeon. Dr. Hays has restored my eyesight and I am so grateful. His demeanor is wonderful and he makes you feel safe. You can see how busy this place is if you just sit and watch. I had my first surgery in another very large eye center so I do have something to compare to. I feel confident saying that if you are looking for a top notch surgical facility with competent doctors that use the most up to date equipment and techniques and care mostly about a positive outcome for your eye troubles...go there. At Wolfson Eye Institute. Called today because I am having problems with my left eye and Dr Leff got me in today. Hopefully, it is nothing. Dr. Jonathan Woolfson did my LASIK surgery in 2002, and I have been very pleased with the results. He was highly recommended by my regular eye doctor and by a colleague at work, both of whom warned me that he was not the least expensive option out there, but was the best. I freaked out at the last minute and asked to hold the surgical assistant's hand while the procedure was going on; she tried to get me to squeeze a tennis ball instead, but when I insisted on holding her hand, she went along with it. The reviews I've read lean mostly toward lasik surgery. My latest experience has been with the outstanding care of Dr James Hays who performed DSEK (Cornea Replacement surgery) on my right eye about year and a half ago) I can't imagine the skill required for such a delicate procedure, but Dr Hays has mastered it--In February (2015), Dr Hay will perform DSEK on my left eye--I trust him completely! Thank you, Dr Hay, for saving my sight! Clara Breazeale Childress, Roswell, GA. This is one of the most awesome team of professionals I had the pleasure to experience. Everyone was informing, concerned about my comfort in my procedure and just down right refreshing. Yes, I would recommend with high marks! I will highly recommend WOOLFSON EYE Institute. This practice is will organize from the first visit until the day of surgery. The Protocols with the patients Identifiers, sites to Perform surgery and the review of surgery with Dr. WOOLFSON WAS VERY IMPRESSIVE. I can continue to give much more positive comments but Only given a limited characters. Thank you again for a great experience job well done. Dr Woolfson and his wolf pack are amazing. I had Lasik yesterday. I was a little nervous but his team was very caring and made me feel relaxed. This was one of the best decisions I have ever made. I have worn contacts and glasses for 26 years. So waking up this morning and being able to see without glasses was amazing. I can’t thank Dr Woolfson enough for giving me my eyesight back. Went for my follow up visit this morning and my vision is 20/20. Thank you from the bottom of my heart. Very friendly, really knew what he was talking about and went above and boyond for me. I truly feel he creates a special connection with each and every one of his patents! I would highly recommend him to anyone! The team at Woolfson Eye Institute is amazing! Dr. Woolfson, David, and Anne were so kind and helpful. On the day of the procedure they spend so much time making sure you are comfortable and even allow loved ones to join you in the surgery room. Plus, they give you an adorable stuffed animal/wolf! It's so refreshing to visit a doctor's office where the entire staff is genuinely passionate about their jobs. Dr. Woolfson and the staff at Woolfson Eye Institute are defiantly a "step above the rest"! They are genuine in their delivery of care and truly skilled in their profession. I would gladly recommend Dr. Woolfson and his staff to anyone seeking laser vision correction. I was terrified when I arrived at my surgery appointment. Thanks to googling myself into a fright! Dr. Wolfson and staff were so wonderful and patient with me. Dr. Wolfson brought me to the side and answered all of my concerning questions. He gave me answers and more information to help ease my pre surgery stress. Surgery was over in less than 5 minutes and I ABSOLUTELY LOVE my new eyes! I am very thankful. Dr Wolfson is simply amazing. He came highly recommended and I know why. I had my LASIK done for both eyes 4/18/2018. Dr Wolfson is very thorough, honest and extremely skilled and made me feel at ease from day one during my consultation. On top of that he is a very nice with wonderful bedside manners. LASIK is a life changing experience and I am glad that I made the right decision trusting my eyes to Dr Wolferson. He is one of the best doctors out there!! Professional, no nonsense, and very realistic approach. I felt at all times I was in very capable hands from meeting Amy to Dr. Woolfson. Everyone at this office is very friendly. The doctors are kind and explain everything to you in laymen terms so you understand what is going on. I went in for a LASIK consultation and this facility was my third consultation. I was turned down by another and accepted by one other; but none of the other facilities gave me a breakdown of what was going on with my eyes. I’d definitely recommend Woolfson for their experience and care! I can't believe how easy it is to get perfect vision! I was approved at my first appointment and two weeks later I went into my LASIK appointment to have the procedure done. I would say having LASIK is about as difficult as having your teeth cleaned, but it takes less time. 10/10 would use again. Going to the Woolfson Eye Institute was one of the best things I did for myself. After LASIK, I could see better than I could with contacts. No doubt, one of the best decisions I have ever made. They will not be the cheapest but remember, they are working on your eyes. Sometimes you get what you pay for. Without a doubt in my mind, this is the doctor I would go to for any type of eye issues. He is experienced, patient, understanding, and has great bedside manner. I felt comfortable the entire time and he made me feel like I was his top priority. His staff is great and they do a great job throughout the entire process. If you are shopping/looking for a doctor, this is by the best one in the Southeast. If I had to do it again, I would do it every time with this office. I had my surgery over a month ago and it changed my life. Wonderful experience! I was a little nervous the day of but Dr. Woolfson and David put a quick end to that. These guys know what they are doing and there is nothing to be nervous about. Literally no pain at all during the surgery and was 20/20 by the follow up appointment the next day! Great Dr. and great team! Dr. Woolfson and his team were nothing short of amazing. I had LASIK done on January 26, 2018, and the whole process was carefully planned and calculated. I couldn't believe how efficient they operated. When I arrived, I was quite nervous but that quickly went away once I got to sit in the pre-op room with David. Dr. Woolfson talks with everyone prior to surgery to insure he answers any questions that you may have. The surgery was quick and I was done within about 15 min. Here it is the next day and my vision is near perfect. I was extremely near sighted and also had other issues. I've worn eye glasses and contacts since I was five years old. I couldn't believe how much this surgery turned my Life around. Sometimes I even still keep my eyes tightly shut when washing my hair and when washing my face and while rinsing from these things I think in the back of my mind I have contacts in and need to be careful. I have had the very. Best Experience Ever! Would like for anyone to try this with especially Woolfson Eye Institute because they are the very best! I had the best experience here! I have severe farsightedness that causes my left eye to turn in trying to focus. I have been told for 20 years I am not a candidate. Thank you to Dr. Woolfson and his staff for the kindness, compassion, talent and willingness to take on challenging eyes like mine. I can see without glasses for the first time in my life. The Woolfson eye team has taken care of me soo well after my ruptured globe injury. All of the staff has been courteous and patient with me. It’s been quite a journey and the end result ended in my being blind in one eye. I was very emotional during my appointments and they were very supportive. Thank you for your continued care and without you guys I wouldn’t feel as comfortable as I am today!! This is the doc that did my LASIK. He’s this huge 6’6” South African dude. Best money I’ve ever spent. That was 8 years ago and still going great. That said, I have to use reading glasses but that’s just a fact of my age. Otherwise I can see great from arms length and out long distance. I am a police officer and SWAT sniper and this has been a huge asset for me. I showed up at the Mt Vernon office on 5/18/15, in extreme agony in my Left eye. I was first seen by Dr Hayes, and at first he thought I just had a scratch or something on my eye. I even got the lecture to always see your own eye doctor first, as they know your eyes best. It took him a 1 second look and to call his Tech over to look ‘again’ I had closed angle Glaucoma, with the presser at 56. Normal is like 10. Very luck for me Dr Day was in office and took his 1 look at my eye and it was instant Laser Peripheral Iridotomy. Followed the next day by preventive LPI on good eye. Cataract’s were removed near 3 months later when left eye healed. Without the wonderful doctor at Woolfson Eye Institution, I don’t feel I would have any eyesight left in my left eye. I thank them daily. I am beyond grateful with Dr. Woolfson and his team. I had my Lasik surgery a few months ago and honestly, I wish I had done it sooner. I'm extremely happy with the results and I was able to get back to work within a couple days. Today I have 20/15 vision and I am beyond thrilled! His staff was very courteous and friendly. They help you understand the process and keep you calm leading up to the surgery. Plus, you get a bonus plush wolf! I no longer have to worry about contacts and I have Dr. Woolfson to thank for that. Although it can be expensive, there is no better investment than my eyesight! Thank you!! I had the best experience getting my LASIK eye surgery. They fully explain what is going to happen during the procedure before you even go in and they give you all the instructions for afterward. The staff and Dr. Woolfson are extremely kind and personable so you don’t feel like you’re just another patient. They are also happy to answer as many questions as you have to make you feel comfortable. Would recommend to anyone! I had the absolute best experience with everybody at Woolfson Eye Institute in Lawrenceville. I was extremely anxious and scared leading up to my LASIK procedure but I am so glad I went through with it. Woolfson is awesome and so patient! I’m still not sure how LASIK works nor do I want to know, I swear some sort of wizardry is involved, the moment I sat up after surgery it was a new world for me, I could see everything! Thank you for the gift of sight!! I will recommend you to everyone! Be sure to tell them I sent you! I have had glasses since the 1st grade, and contacts since I was 13. I made the decision to have LASIK eye surgery yesterday, and after a good night's sleep am thrilled to say I now have 20/15 vision! I highly recommend Dr. Woolfson at Woolfson Eye Institute! I am thankful for my contacts and glasses for helping me see for many years. However, I am more thankful and excited to wake up each morning without searching for my glasses, having an itchy eye from contacts or be afraid to take a nap (which resulted in super dry eyes if you have never had contacts). I had waited a while assuming it would cost a fortune. The price really wasn't bad and I now wish I had done this sooner! Dr. Woolfson and team were very careful to give my eyes the best care from start to finish! Be sure to tell them I sent you! I am pleased with my LASIK results. Dr. Woolfson is a highly skilled eye veteran. I now have 20/15 vision! It is one of the best decisions I have made. Thank you Dr. Woolfson and the whole team. I have had glasses since the 1st grade, and contacts since I was 13. I made the decision to have LASIK eye surgery yesterday, and after a good night's sleep am thrilled to say I now have 20/15 vision! I highly recommend Dr. Woolfson at Woolfson Eye Institute! I am thankful for my contacts and glasses for helping me see for many years; however, I am more thankful and excited to wake up each morning without searching for my glasses, having an itchy eye from contacts or being afraid to take a nap (which resulted in super dry eyes if you have never had contacts). I had waited a while assuming it would cost a fortune. The price really wasn't bad, and I now wish I had done this sooner! Dr. Woolfson and team were very careful to give my eyes the best care from start to finish! Be sure to tell them I sent you! I am 16 days post LASIK surgery. I was very apprehensive about having the procedure done. Dr. Woolfson and his team made it seem like it was a walk in the park, and it was! I was wearing -4 contacts with astigmatism going into this, and two weeks later at my follow-up appointment I read the 20/10 eye chart! The pain (so exaggerated) or discomfort, is almost non-existent and is gone a couple of hours after the procedure. The only question I have now is, "why did I wait so long?!" Proof is in the history of Dr. Woolfson. He's done hundreds of other Eye Drs, as well as NFL football players. There are a lot of Drs out there performing LASIK surgeries, but Dr. Woolfson at Woolfson Eye Institute is the Flagship of them all. The doctors and staff went above and beyond with their care of all the patients. They took time to answer questions, and put all minds at ease before the procedures. I'm beyond pleased with the outcome I've experienced with just having my LASIK procedure done yesterday afternoon. I've experienced no pain, little discomfort, and have complete vision restoration. Thank you to Dr. Woolfson and the rest of the staff for being so wonderful from pre-op to follow-up! 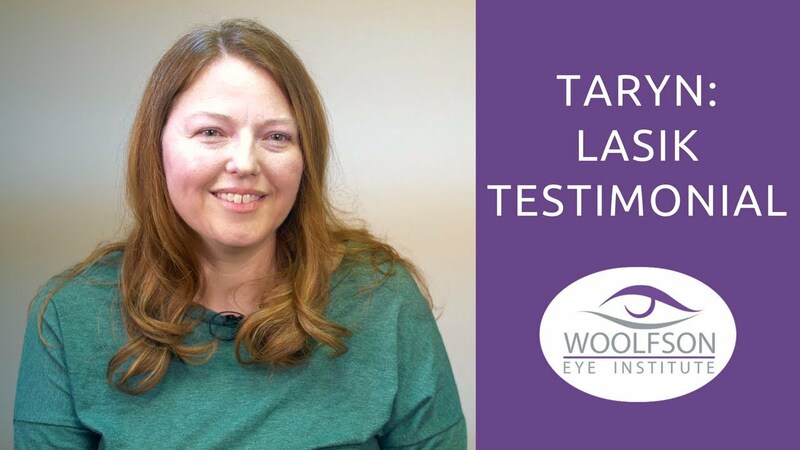 The staff at Woolfson Eye Institute was helpful and friendly during the entire process. Their good humor put all the patients at ease as they both gave instructions and shared stories. It has been just over 24 hours since my surgery, and I am doing great! The experience could not have better, and I will recommend Dr. Woolfson to everyone I know who wants to get LASIK. Dr. Woolfson made the impossible possible. 2.5 years ago I was heavily dependent on my glasses and contacts with a -9.5 prescription. Today I have 20/15 vision all on my own! Dr. Woolfson changed my life more than he'll ever know! Thank you Woolfson Eye Institute for all you have done! Dr. Woolfson was more than expected. The time, consideration, the explanation... the , personal experience not to mention the physician expertise... I would recommend him again and again. He helped me feel autonomous and calm. I am happy and thankful that at 35 years as a mother of 4 children I chose to have these services. Dr. Woolfson has helped bring a better quality of life to us. Top notch service, everyone was super nice and put at ease through the process. Amy the office manager walks you through everything and is very helpful. I am thrilled with my choice to use Woolfson for my Lasik Procedure! The Woolfson Eye Institute doctors and staff exceeded my expectations from the beginning. I initially chose Woolfson because their website was so thorough and they remained in contact with me the most while I was contemplating the surgery. I also had a friend recommend the company and speak only positive things. The overall experience was great, quick and easy. Had I of known the experience would be so positive, I would have done the procedure years ago. Dr. Woolfson demonstrated outstanding professionalism as he explained every step of the procedures which was very reassuring. He was also attentive to every question and need i had. i would recommend Dr. Woolfson to anybody interested in LASIK. The entire staff was a joy to work with. They were always welcoming and made me feel at ease, especially David in pre-op. Dr. Woolfson discussed my case with me and told me everything he was going to do so I would not worry. The procedure was painless and quick and I am so happy that I do not have to deal with contacts or glasses. I can now recommend them enough. Now I can watch the Braves lose with perfect vision. As an information seeking individual, I always spend a substantial amount of time exploring my options. When searching for an eye institute, I looked for: qualifications of the surgeon, experience (number of surgeries), reviews of the business, personal stories of individuals who had surgery and anything else I could find. In the end, although elective LASIK/PRK surgery is scary, it was obvious that my best option, if I truly wanted the procedure, was to attend Woolfson Eye Institute. 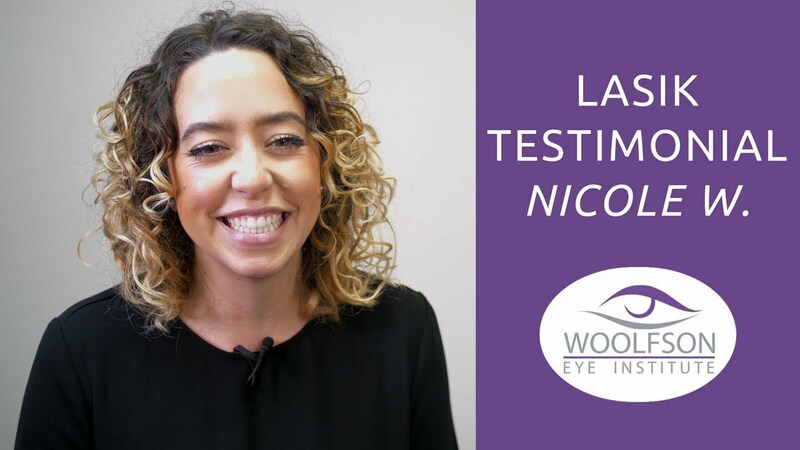 During my time at Woolfson Eye Institute, I found that the whole staff was well qualified, their experience was evident in how personally they worked with all the patients, the Doctor was open/honest about the procedure, and any questions I had were respectfully answered. All the pieces fit together for a wonderful, fulfilling and successful experience. The staff was very energetic, friendly, and willing to answer all of my questions. Once I arrived at the office, there was not much down time, which helped to calm my nerves. Dr. Woolfson was very reassuring that he had done this procedure many times before and that I had no need to worry. One thing that really impressed me was that Dr. Woolfson said if he saw any reason for concern once I got into surgery, he would stop immediately. I liked that he erred on the side of caution when doing the procedure. Not only did I receive a recommendation from a family member, but my optometrist said Dr. Woolfson was the only doctor in Knoxville he would recommend to do the LASIK procedure. My results have been fabulous! I have been very pleased with every aspect of the experience. The booking ladies went out of their way to make sure I got an appointment set up that met my work needs. I am hoping to set my family up with him as our regular eye doctor. The surgery day and Dr. Woolfson were amazing as was his staff. I felt completely at ease the entire time and have had great aftercare and results. I am very thankful I chose the Woolfson Eye Institute for this procedure that I have been wanting to have done for over a decade! Five stars!!! Dr. Woolfson and his staff were absolutely amazing! I never thought it would be so easy and painless to have LASIK done. It was definitely one of the best decisions I have made in my life. Great Experience! I had such a positive experience at Woolfson Eye Institute! Dr. Woolfson could not have been any kinder or compassionate. I felt very comfortable from the time I walked in the building to the time I left. Very great experience! I had a wonderful experience. I have had great results so far. The office staff is super sweet and went above and beyond to make my experience great. They are very personable and genuinely caring. I had to wait a little bit longer than expected before the procedure started but I did not have a problem with that as they frequently updated me on what was going on. My vision was saved by Dr. Woolfson. I had LASIK 6 years ago with another provider and I never healed quite right. I've been having to deal with so many issues and finally I decided to call Woolfson to see if there was anything they could do. During my eval, Dr. Woolfson gave me a thorough exam and went over my options. He was very positive but he wanted to make sure I understood all the risks (something my previous doctor NEVER DID!). I felt very comfortable in having Doctor Woolfson re-treat my eyes and I'm so glad I did. While it took an extra couple of days for my eyes to heal, my vision is incredible. He was professional and made me feel at ease before, during, and after my LASIK surgery. I definitely recommend him for anyone interested in corrective eye surgery. I should have done it sooner!